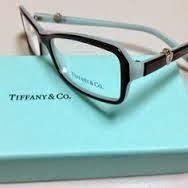 We've added Tiffany frames to our optical, and they have been very popular. The designs incorporate the classic "Tiffany Blue" and are very high quality. We are always on the lookout for the latest and best frames for you!